What are we going to do tonight, Android? Ready your umbrellas: From the sounds of a new report out today, we're in for a shower of Google-made products. According to a laundry list of a filing from the Wall Street Journal, Google is preparing to launch a number of new hardware bits. The publication also has details on the long-awaited Android: Key Lime Pie operating system, expected to pop out of the oven this fall. First on the docket are a video game console and "digital wristwatch," i.e. a smartwatch, according to Journal sources familiar with in the matter. Google reportedly has its sights set on proliferating Android beyond smartphones and tablets while also boosting its credibility as a hardware maker, all the while preempting future product offerings from its chief competitor. Heady goals, indeed. Apple is said to be developing a smartwatch, popularly known as the iWatch, as well as having interest in the gaming space. Mountain View's aim, the sources said, is to counter devices the iOS innovator may release down the road. Google is apparently also keeping an eye on Ouya, the Kickstarter-funded, Android-powered game console that went on sale publicly this week. As Android gaming grows, it seems only natural Google would get in the gig as well. In a case of knowing more than most of us, Google looks to planning a console on the expectation Apple will include such a device launch as part of what it has planned next for Apple TV. As for the G-watch, the Journal's sources said the device will connect to a smartphone via Bluetooth. As if a video game console and smartwatch weren't enough, Google's prodigal media player, the Nexus Q, may also get another stab at life through a second version, according the Journal's people. It, along with the smartwatch and gaming console, are intended to be Google-designed and Google-marketed products, with the hope to release at least one of the three by the fall. All this hardware work is taking place as Google prepares the next slice of Android, a.k.a Key Lime Pie. Internally referred to as the "K release" and alternately called Android 5.0, the Journal reported that Google's aim is to have the OS better fit lower-end smartphones sold most often in developing parts of the world. As its Motorola division readies the Moto X phone, Google wants to stay autonomous when it comes to the aforementioned hardware. To that end and to further spread its reach into developing countries, Google is reportedly not only readying next-gen smartphones but also angling on low-cost handsets. Areas it plans to market the lower-end smartphones include locales where it also wants to help establish or fund next-gen wireless networks. Its ambitions for Key Lime Pie don't stop there. 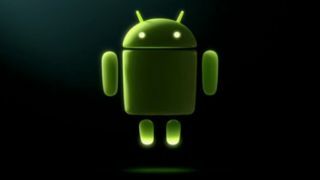 Google will apparently work to put the next Android release in products ranging from laptops to appliances. HP is said to be working on laptops running 5.0 right now, the Journal's sources said, while K will afford hardware partners like Samsung the opportunity to place it in devices beyond the standard mobile fare. Curious about what's new in iOS 7?